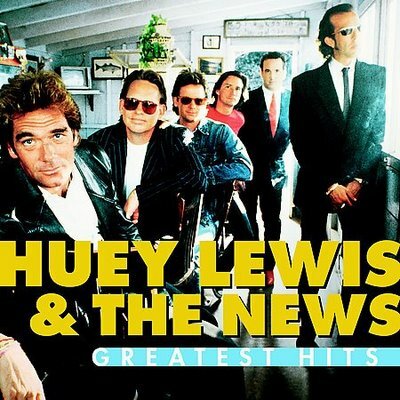 Every child from the 1980s, at some point, rocked out to Huey Lewis & The News. Don't even try to deny this. Some of my favorite Huey Lewis tunes included: "Heart & Soul", "If This Is It", "Power of Love", "Stuck with You" and "Hip To Be Square." Before you can ask, I was somewhat offended when Christian Bale went nuts in American Psycho discussing and listening to Huey Lewis while wielding an ax at Jared Leto's character. He graduated from the prestigious Lawrenceville School in New Jersey in 1967 (Disney's Michael Eisner was also alumni!). He scored a perfect 800 on his Math SAT. I am a fan of Huey Lewis and the News. Anytime "Heart and Soul" comes on the radio, I've gotta bust a move. Love him! I, too, want a new drug!!! I know "Power of Love", but can't say I know any of the other songs. Still love the song 'Hip to be Square.' And the music video for 'This is it.' All those guys sings while standing in water was an odd thing to do during that time. Normal/common place now, but eye catching back then. I love Huey Lewis and the news! Don't hold it against Christian Bale, it's in the book too. I used to really love Huey Lewis and the News. And also this one Weird Al parody he did for a Disney special "I want a new duck"
I actually watched the back to the future trilogy yesterday so I was already in the mood. I'm no longer ashamed to admit that I like them. I used to be up until about 10 years ago. My favorite songs are The Power of Love, If This is It, Do You Believe in Love and Stuck With You. HUGE Huey Lewis fan! My favorites include "If This is it", "Heart and Soul", "Jacobs Ladder", "Walking on a Thin Line", "Stuck With You" and "Doin it All For My Baby"
Back in the day, I secretly thought Huey Lewis was smoking hot, but was far too much of a snob to say so. Always liked his music, too. And now it turns out he was smart as well! TS - It's weird, I think I read the book so long ago, I actually forgot about it. I loved all of Bret's books because of his pop culture references and Jay McInerney too. I read them sooo long ago, I should re-read them all now that I'm an adult. I loved his music and then also loved the duet he did with Gwenyth Paltrow in the nineties. You are almost at 500!!!! Congrats!! Oh, I liked him, too...and I'm probably gonna receive a ration of flak for stating that I loved the duet with Gwyneth Paltrow! I want a new drug, too. LOVE Huey! What a great look back! My favorite was "It's Alright." Classic! Now I'm going to be singing it for the rest of the day!! Sweet! I'm just still digesting the Huey Harp name...yikes. EVERYTIME I hear 'Power of Love' I think of Back to the Future. btw- bite your tongue. christian bale makes EVERYTHING better. Huey! Danced to "Hip to be Square" in our 6th grade talent show. Hit of the year. I love 80's and early 90's music videos, they are so cheesy and awesome. He was on an episode of The King of Queens. It's Alright is also a classic song…love it along with every other one you cited. Yes, I loved these guys too. When I bought the car I would drive during my college years, an '81 Rabbit, one of their Sports cassettes was already in the stereo. I think I still have that cassette someplace.